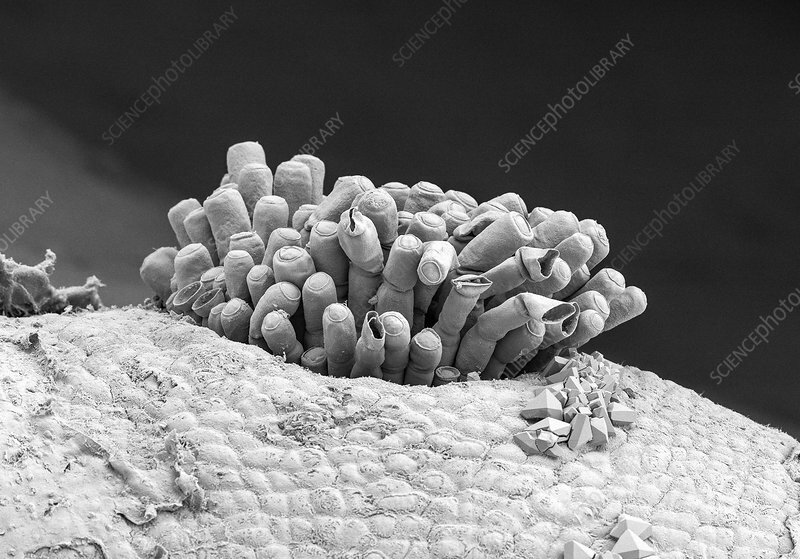 Scanning electron micrograph of conceptacles, specialized cavities of marine and freshwater algae that contain the reproductive organs. They are situated in the receptacle and open by a small ostiole. Some are pits within the thallus, whereas others form raised domes protruding above it. They are open to the environment via one or many pores, depending on the species and the type of conceptacle.